Specific GSFR guide sets for flux core perforation are available, allowing flux flow and outgassing to minimize solder splashing. A built in encoder provides feedback when the solder is not being fed (solder reel finished or solder guide clogged). The SFR is designed for automatic solder wire transportation and is controlled by a PC/PLC. 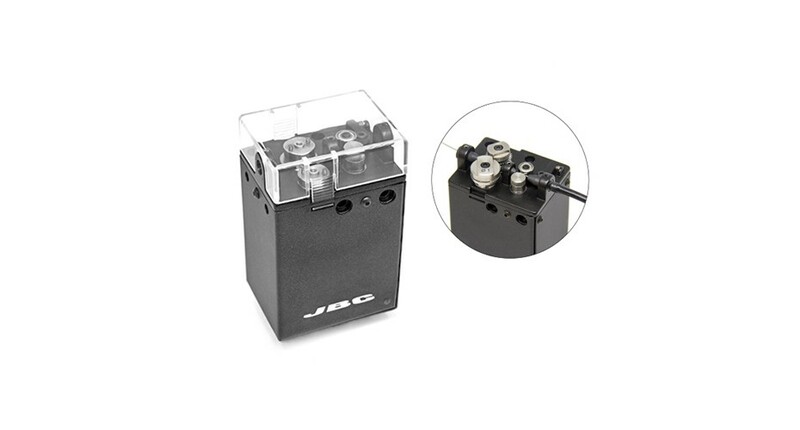 Control parameters such as wire length and dispensing speed are customizable. It features a wire detector sensor and in case of any transport error the system informs with "blocked up" or "consumed". Guide Kits GSFR are not included.